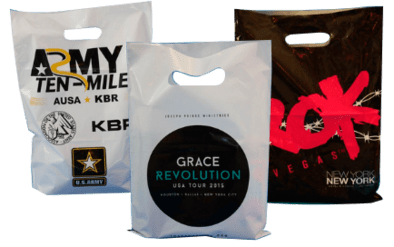 Custom printed plastic merchandise bags are highly useful as a physical carrying device for purchased items, but also as a marketing tool that helps to showcase a company’s brand and image. 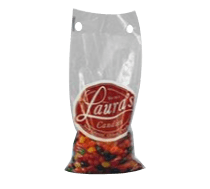 Custom printed poly bags look, feel and provide better overall quality than standard plastic bags, while providing company advertising at no additional cost. Our premium custom printed plastic bags possess excellent tensile strength and meet numerous government standards. They can be manufactured with a wide variety of custom features including: color, size, styles, designs and more. 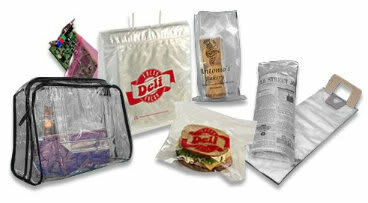 At American Plastics we can create custom printed bags for nearly any type of retail industry. American Plastics provides numerous options when it to custom shopping bags and custom retail bags. These types of custom printed plastic bags are ideal for use in restaurants, retail stores, trade shows and more. These bags can also be fully customized to meet your exact needs. 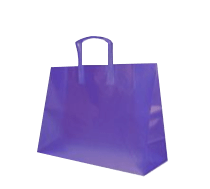 Some of the types of custom printed plastic bags that we offer, include: Custom shopping bags, custom restaurant takeout bags, custom thankyou bags and more. 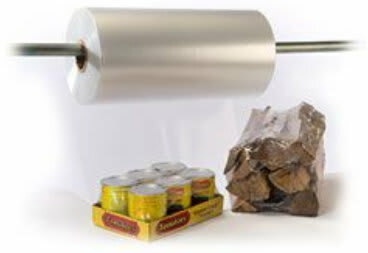 If you pack and ship large volumes of inventory, fully customized poly film and sheeting can provide an added advantage over non-customized plastic film. 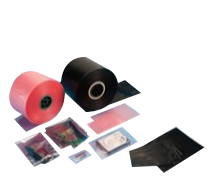 American Plastic’s custom printed film and sheeting allows you to add your own customized designs to the poly film and sheeting materials, which adds a distinct and professional look to the products that you are shipping. 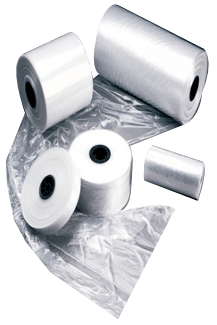 Some of the poly film and sheeting products that can be custom printed, include: poly lid liners, pallet top covers, cleanroom film and more. 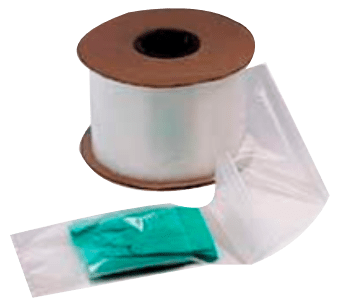 If you are packaging smaller items or depending on your product packing requirement needs, you may benefit from American Plastic’s custom printed poly tubing material. This material is extremely flexible and can be cut individualized lengths to uniquely support each product. Some of the custom poly tubing options that can be created, include: Black conductive tubing, anti-static tubing, cleanroom tubing and more. We can also produce fully customized poly tubing in a wide range of colors, designs and additional beneficial features. At American Plastics our custom printed food bags and food service film is FDA and USDA approved. We offer custom designs and colors that will make your packaged food product stand out from the others within the supermarket. 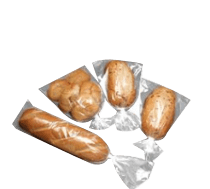 Some of the fully customized food bags and film that we offer, include: Bread bags, leak-proof bags, produce bags, vacuum sealer bags, reclosable bags, gusseted bags and many more. 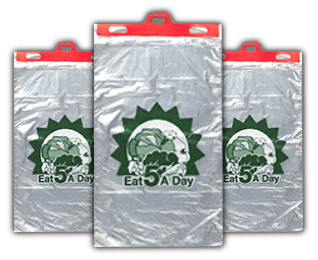 In addition, all our custom printed food bags can be custom designed with your company’s logo, color scheme or other unique designs that you may want to incorporate. At American Plastics we fully guarantee the quality and craftsmanship of all our custom printed plastic bags. Our bags are uniquely designed to provide three times the tensile strength and two times the tensile strength of conventional low-density bags. We also utilize efficient renewable energy practices through our domestic manufacturing processes. 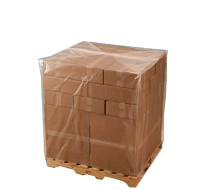 Through innovation and advanced quality design processes American Plastics takes pride in providing our customers with the best overall value when it comes to their fully customized plastic bag needs. We have manufacturing locations all throughout the United States, including New Jersey, New York, Massachusetts, Georgia, Illinois, Texas, Nevada, and California.